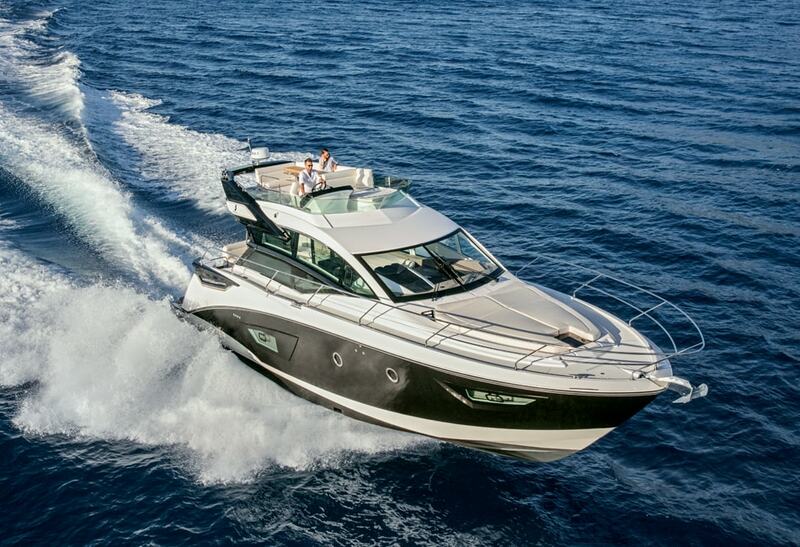 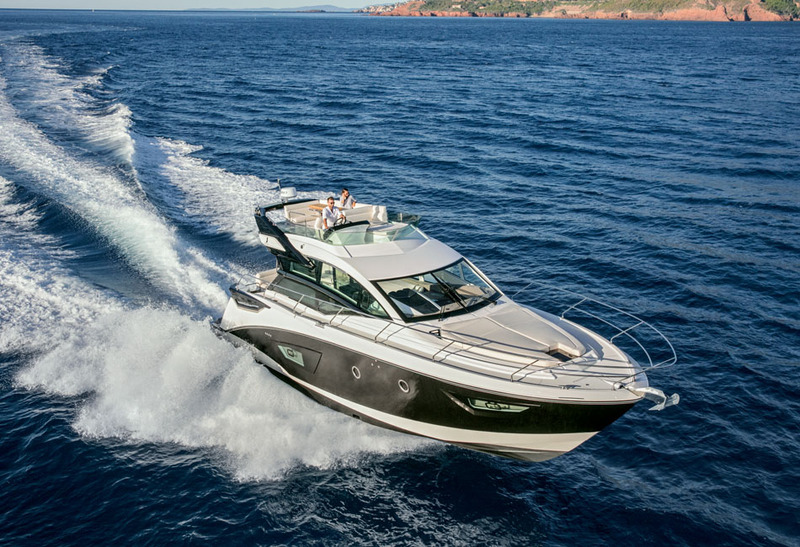 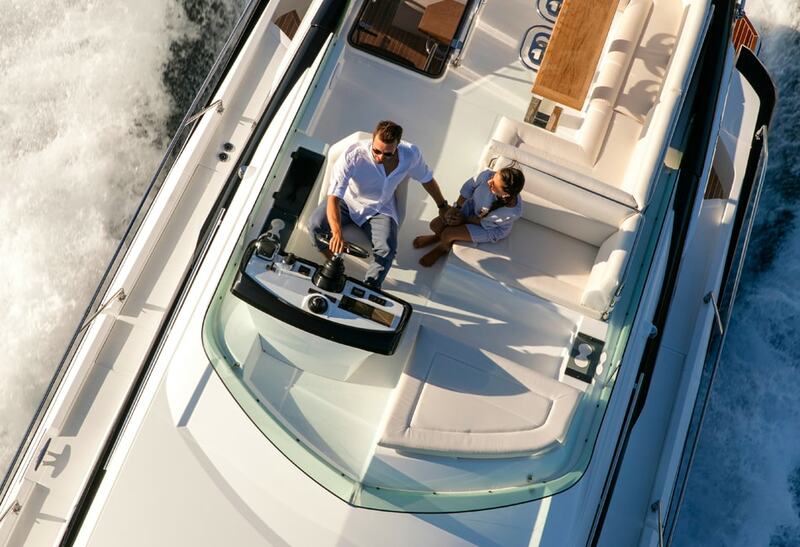 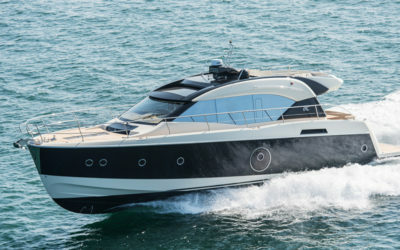 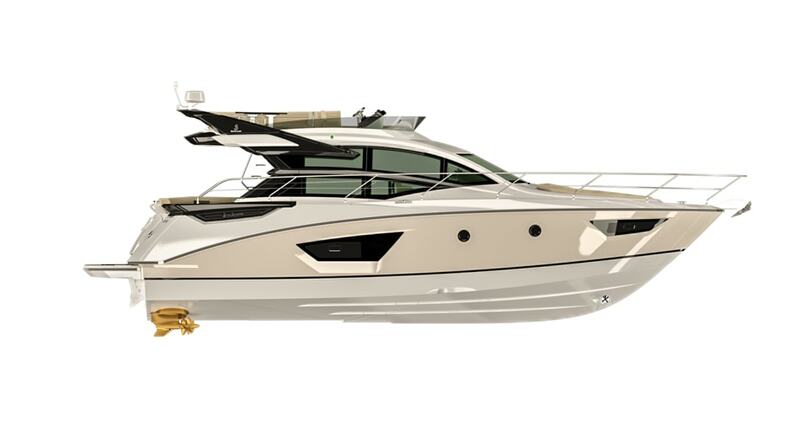 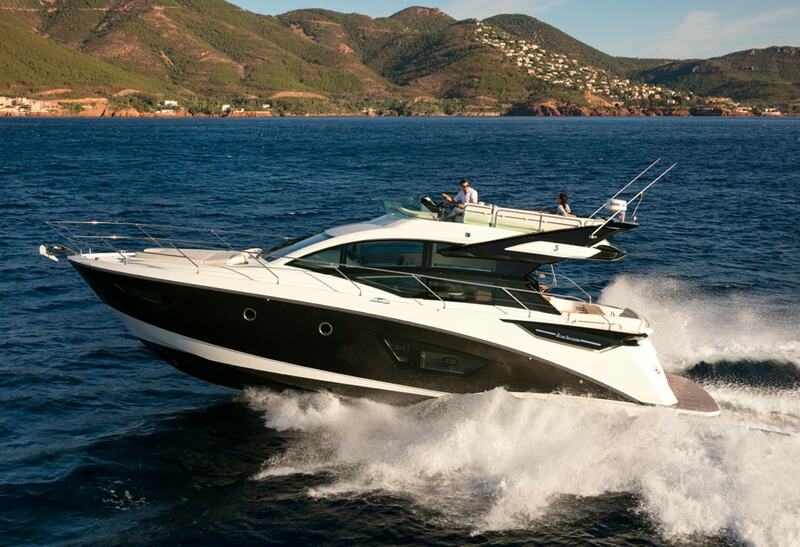 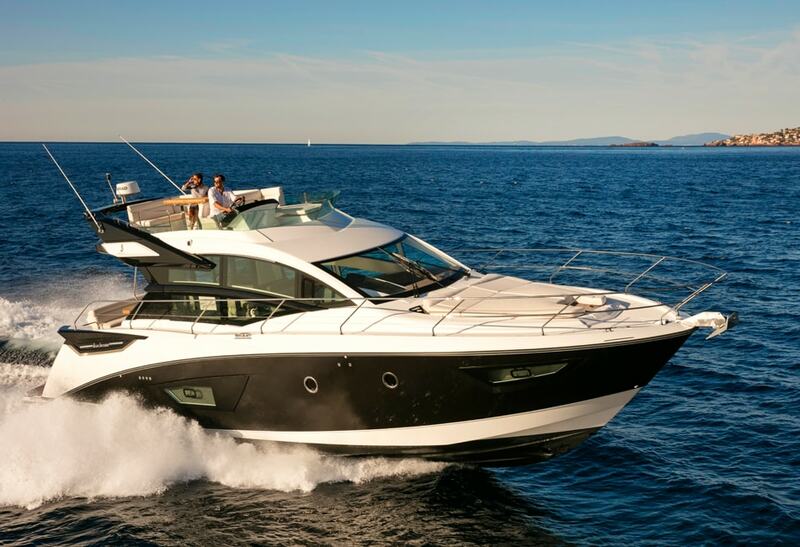 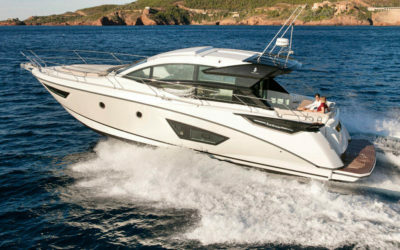 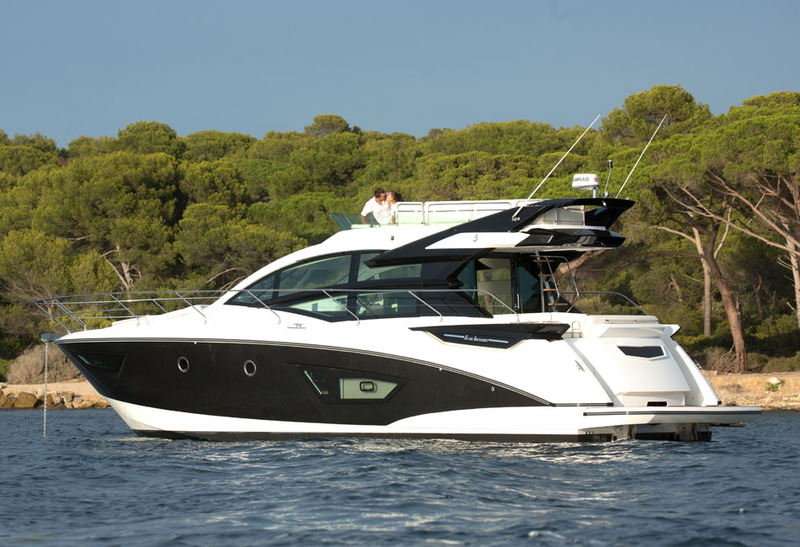 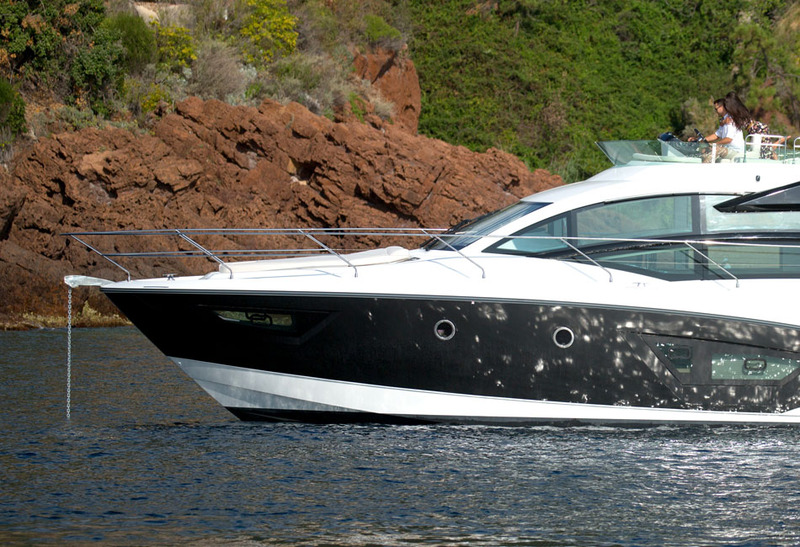 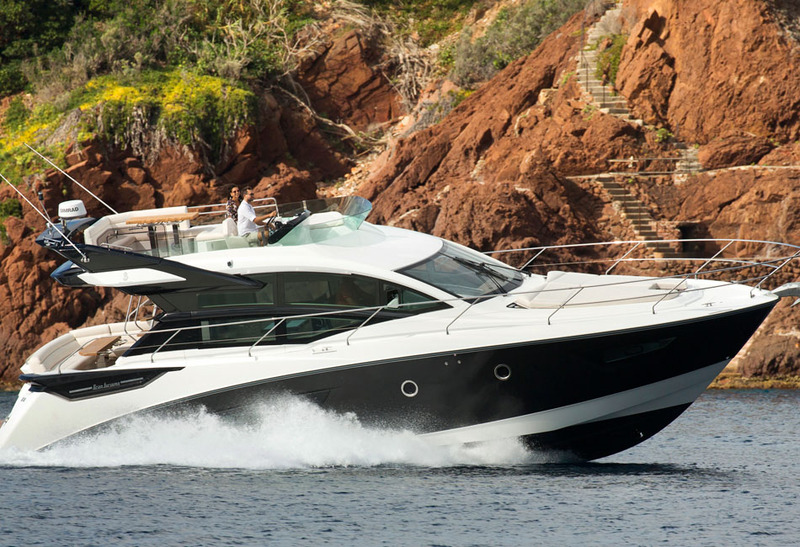 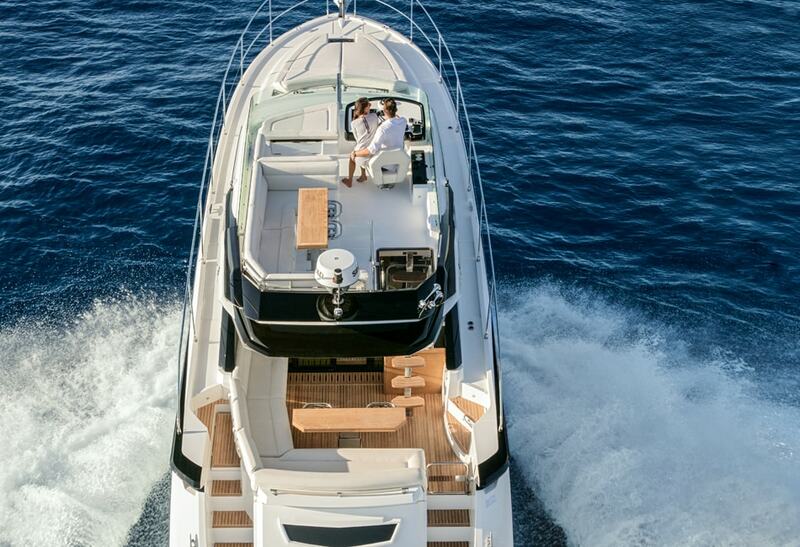 Beneteau’s flagship sport cruiser will entice the thrillseeker at heart. 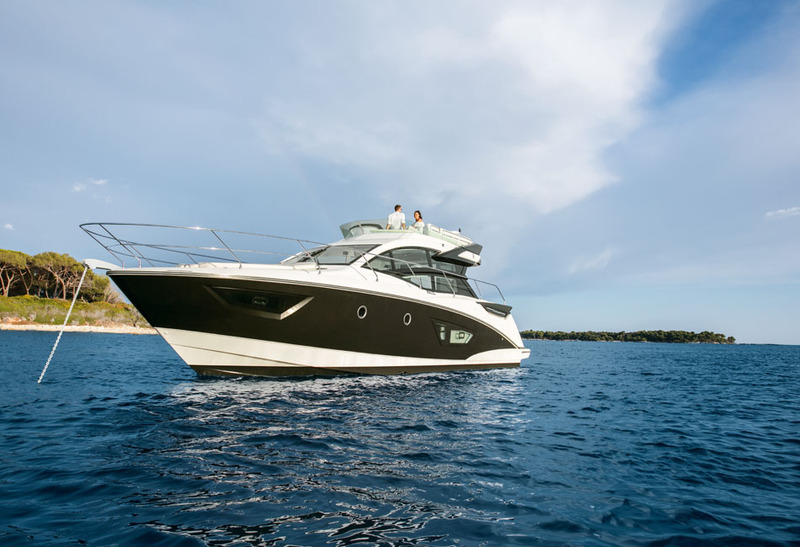 The Gran Turismo 50 Sportfly is a sporty cruiser equipped with the latest technological advancements. 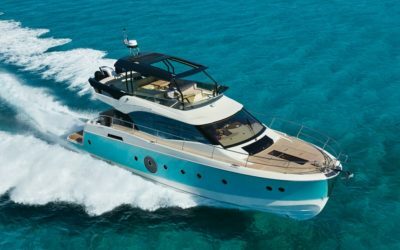 It features a second driving station that comes with sweeping views of the sea and several other outstanding features including a submersible swim platform. 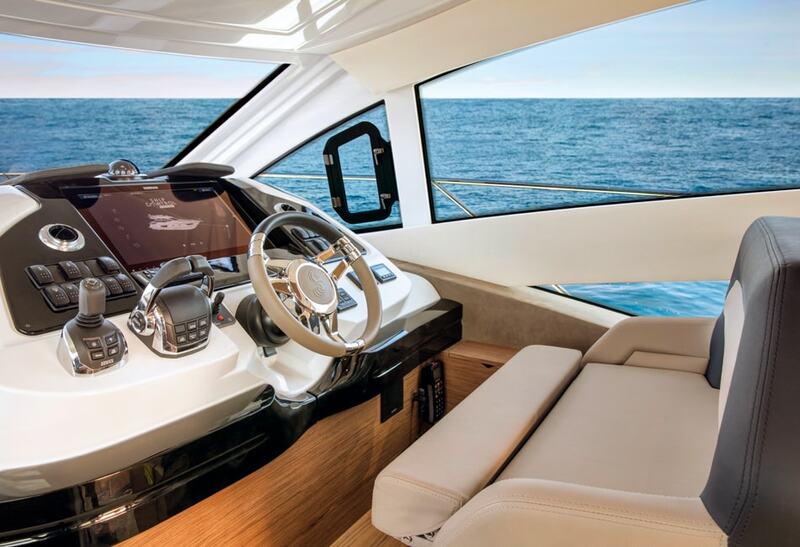 The Gran Turismo 50 is powered by a Volvo IPS 600 on an AirStep® planing hull offering driving experiences that are simply unparalleled. 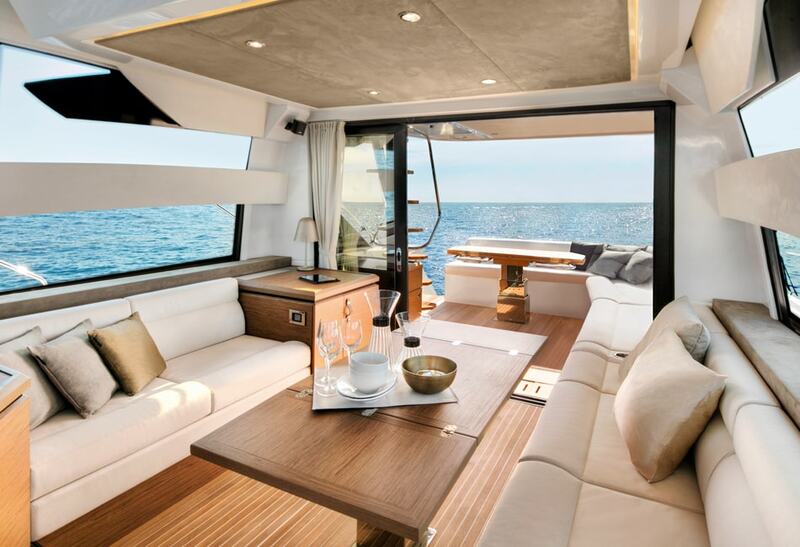 She has a protected lounge extends the cockpit to the full-space deck. 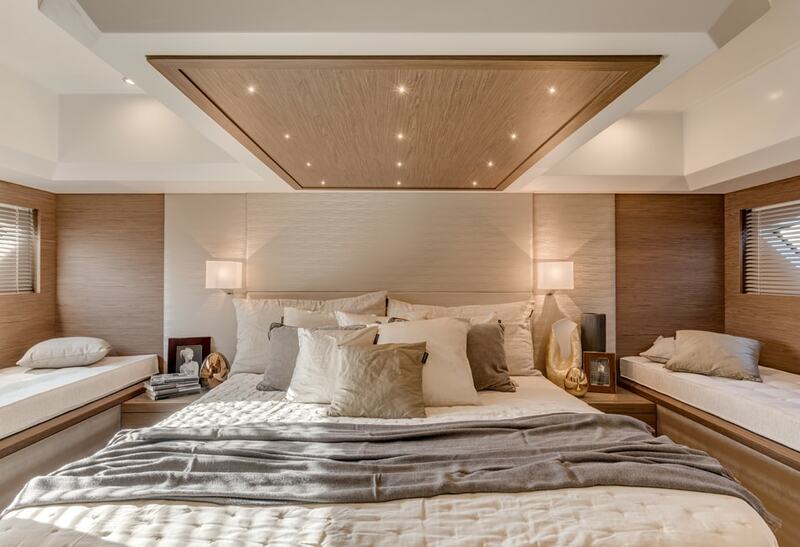 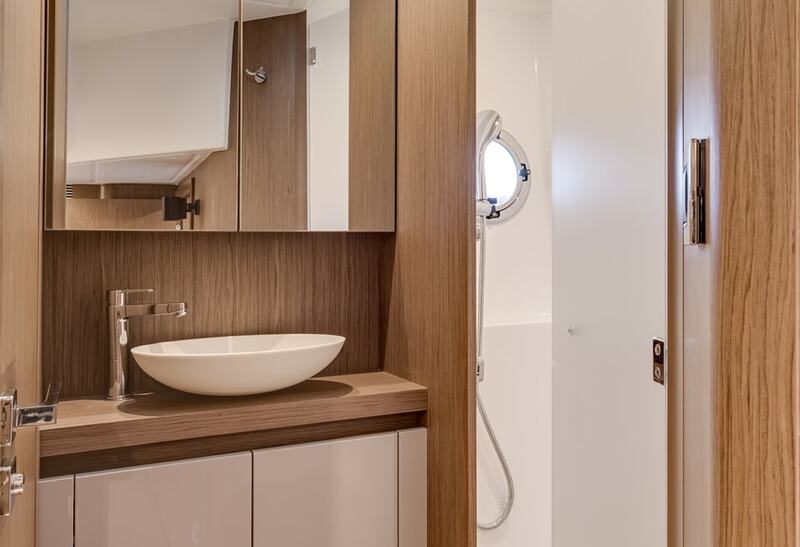 The owner’s suite is drenched in light and the full beam makes it extremely comfortable and allows for an en-suite shower. 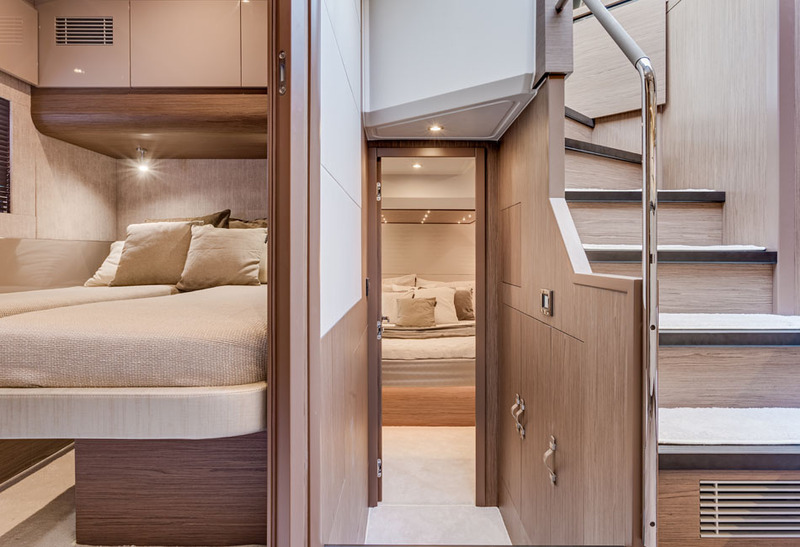 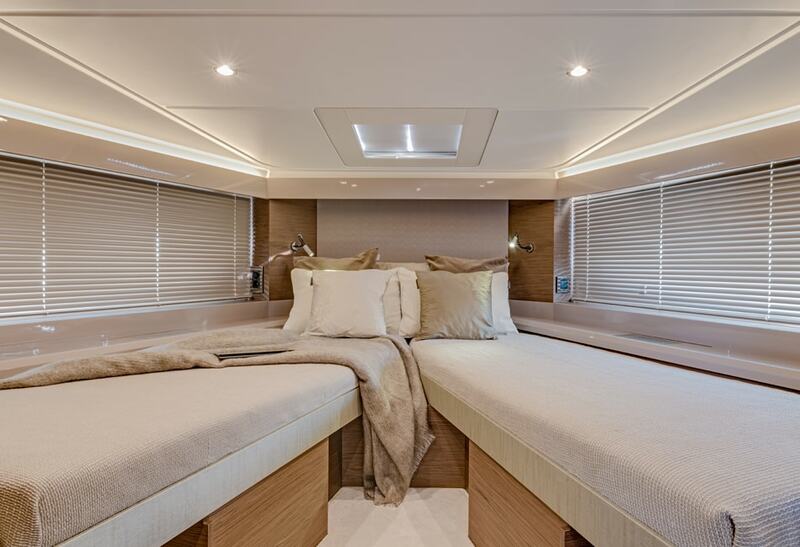 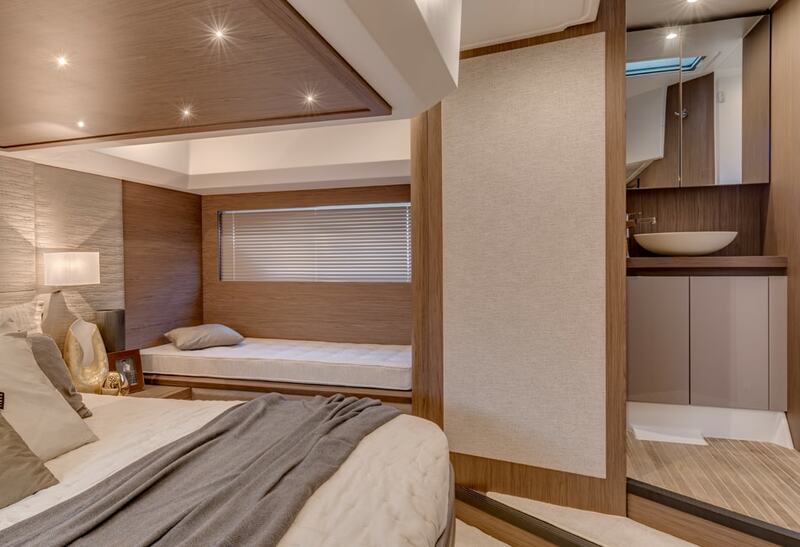 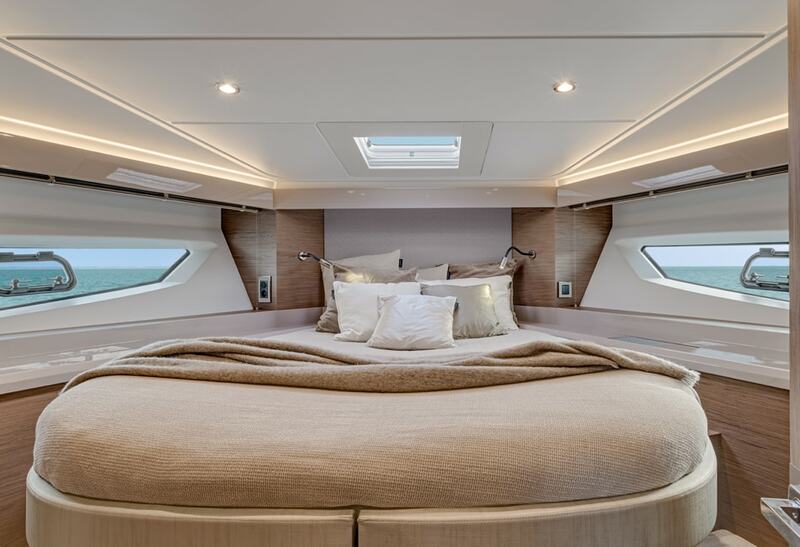 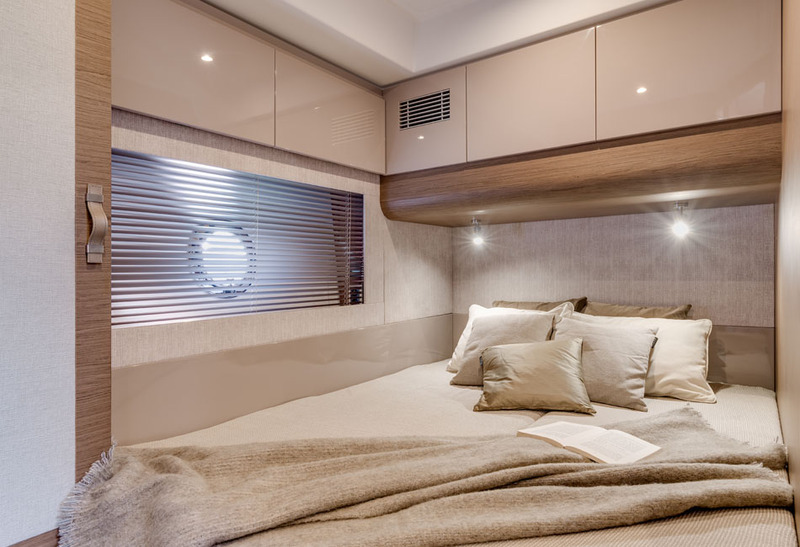 Other notable interior features include a dressing room-style storage, and fully-fitted galley.